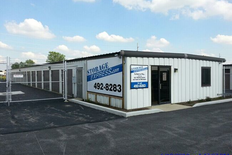 Storage Express offers high-quality self storage options at some of the lowest prices you’ll find in the Sidney, OH area. You’ll find us near Culver’s, Fricker’s, and Buckeye Ford Lincoln. 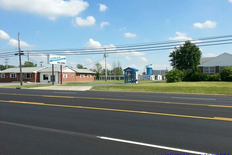 We’re situated at 2471 West Michigan Street, just a stone’s throw west of I-75. 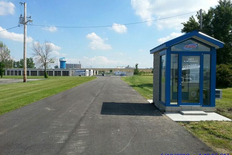 We’re just a short drive from Fort Loramie, Houston, Lockington, and Piqua. Come visit our facility and we’ll show you what we have to offer! We are open seven days a week and 24-hours a day! 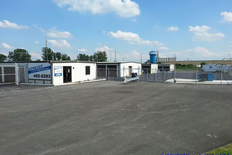 Choose from a wide variety of storage unit sizes and options, including ground-level spaces with drive-up access for hassle-free unloading. Unlike most facilities in the area, our tenants can visit their units and retrieve items 24 hours a day. We also offer excellent exterior lighting for customers who wish to stop by or move during the evening. Our entire property is fully fenced, and gated entry is required. Additionally, to ensure that your stored items remain in great condition, we use professional pest control. Take advantage of some of our customer-driven features including online bill pay, complimentary e-statements, and no deposits or admin fees. Jackie Sorrell, thanks for your praise and kind comments about our team. Super easy to rent with and very clean. Storage Express knows self-storage. Thank you for the shout-out and 5 star review, Lem!